Judge Martyn Crucefix with 1st prize winner Frances Malaney (right) and 2nd place Shirley Wright; 3rd place Helen Kidd was not able to attend. We are delighted to announce the list of prizewinners in our Open competition. 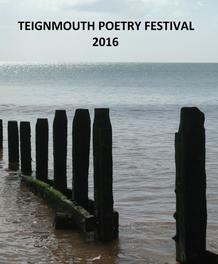 Below are Judge Martyn Crucefix’s comments on all the poems in his shortlist of ten. 1st, 2nd and 3rd placed poems are published in full. Click here for full text of poems. Occasionally there are issues or events that arise in the world which so clearly need to be written about. They are written about by journalists, discussed by politicians and – however well-intentioned their discourse – they make the job of the creative writer, the poet, that much harder. There is such a welter of cliché and sentiment and moralising to see through in order to achieve impassioned perception – to write something of use. This poem confronts the refugee crisis, a famous image from it, without slipping into clichés of thought, feeling or language. I especially liked the clever reversal of time; as if a whole life, several lives actually, are perceived within the one instant. It opens the issue up, does not close it down. I feel how world is more tragic and brutal. This winning poem has its use. This poem crept up the rankings significantly in the final stages. I think it took me a while to appreciate its subtle shifts of tone, its range of tones. And it has humour too - self-deprecating, but critical, even satirical. That ironic tone is already signalled in the two part title, yoking together the bathos of middle-class middle-England with a kind of Miltonic grandeur. It is both funny and very sad I think. A poem with two people in it – a sad Eve and Adam for our times. This did disturb me, haunted me as I re-read it, and its success is in working its way through the journalistic clichés and knee-jerks surrounding its subject. It’s a portrait of a man and a child. But who is speaking the poem? Its most likely the child but the grammar denies this and so leaves the reader both inside and outside the experiences presented. I like the little gestures in the poem towards a society, a community, half witnessing but seeming blind to events. I love – I mean I am very disturbed by – the skill with which the poem suggests the child is influenced by the adult, begins to unconsciously take on his words, his persuasion. This really pushed the top three poems and I enjoyed its precision of observation, the way the short lines move down the page, reflecting the hesitant exploratory movements that it wants to describes of a life close to its end. This is the first of two poems that engage with the unavoidable topic of war and the refugee crisis that has been dominating our news reports for over a year now. This really is a poem of witness and it plays a very straight bat (perhaps because of that) but does take us into the experience while also turning accusingly on us at the end – who is the ‘you’? This is the most obviously formally accomplished of the short-listed poems, its 6-line stanzas woven together by end rhyme without losing the colloquial tone of voice that is so engaging. It reminded me a little of Bishop’s ‘The Art of Losing’ but is very much its own poem. A sophisticated poem about knitting, embellishing the process with thoughts and reminiscences. In such a small poem to travel so far (it manages that impossible word ‘eternity’ by the end) is really impressive. A tiny gem of a poem which manages to say more about John Clare’s poems, environmental concerns and the importance of language even in our interactions with the natural world – more than many more earnest longer poems manage to do. A more obviously disturbing poem, mixing dolls and children into a nightmarish brew, throwing up issues of identity, the amorality of childhood, making me want to cry out helplessly, where are her parents? Something other-worldly about this poem – or of a different era. But it is so convinced of the remembered world that it sweeps the reader along. Vivid – even if bathed in nostalgia, and even if nostalgic, it feels like truth.